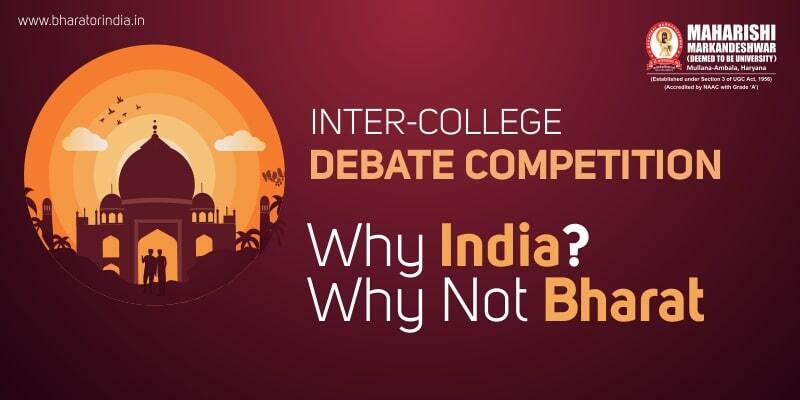 Home > MMDU Mullana > Cultural > A Final Word: Inter-College Debate Competition held at MM(DU) on ‘Why India? Why Not Bharat’! It was a balmy morning on Sept 13 at MM(DU). The participants for the inter-department debate competition on ‘Why India? Why Not Bharat!’ began to arrive early at the venue with a great zest and zeal to participate on the burning issue. The idea of the debate was to get the views of students on the topic and make them aware of why our nation has two names. As the judges for the debate competition took their place at the stage, the atmosphere in the conference hall became intense, pleasant with expectations. The Judges made a fine list, they were from various departments of MM(DU). They consisted of Dr. Tanu Gupta, Dr. Gurudev Goel, and Prof. Suresh Pal Saini. The event began with a big bang saying “Bharat Mata ki Jai”. 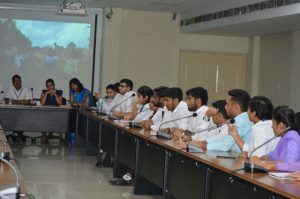 The debate seemed like a spar of words, but – in reality – it was making options in-between for the participants from various departments of MM(DU) to individually raise queries and demand explanations of points that appeared too imprecise. Step by step, it was vital to note how students presented strong points in favor of both names: Bharat and India. It was also commendable to note how participants were innovative, some using cultural and historical references and some using statements of law to bolster their points for better understanding. All such factors made the debate on ‘Why India? Why Not Bharat’ more intriguing. The participants mesmerized and swayed the audience with their knowledge, contents, expressions, and fluency. After two rounds of head to head knockout, a few students were selected to give their say on the topic. Sticking to imaginative thinking and necessary inputs, judges made their final decision. 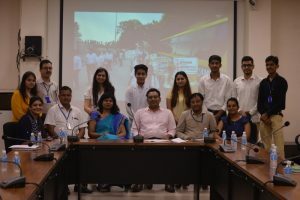 Though it was immensely difficult to judge that who deserves to seize the ranking from one to five, our jury consisted made up a final list and selected the following students. It was indeed a day full of spark and enthusiasm. In the end, all winners, jury, and organizers gathered around for a photograph. Lastly, one thing that will always remain in the minds and hearts of people gathered for the debate is whether we really need two names for our nation or one can define the nation well. Wonderful concept. Amazing write up. A galore of mesmerizing views…Absolutely stunned! Excellent article. Keep posting such kind of information on your blog. I’m really impressed by your blog. Hey there, You’ve performed a great job. I will definitely dig it and individually suggest to my friends. loߋk at and d᧐ so! Youг writing taste has been amazed me. MM(DU) on ‘Why India? Why Not Bharat’: Loved it! Appreciating the commitment you put into your blog and in depth information you present. It’s good to come across a blog every once in a while that isn’t the same old rehashed information. Great read!